Houston Yellow Pages and More! http://www.abouncingadventure.com A Bouncing Adventure. From Moonwalks to Trackless Trains, Games and Rides. http://www.kidspartyfun.com ideas for celebrating birthdays, holidays, and other special occasions with your children! 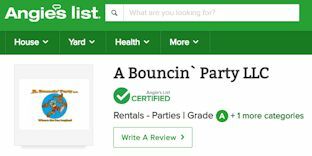 Kids' Party Fun This directory is designed to make it easy for you to throw great parties for your children by providing easy access to quality party supplies, venues, entertainment, and more.